Is It Time To Stop Supporting Makeup Brands That Don’t Support Us? I’m sure that when makeup makeup artist Manny Gutierrez uploaded a pic of his Marc Jacobs Beauty care package, personally sent to him, to his Instagram, that it would’ve caused so much controversy. But the unexpected outrage was not without substance. The photo above of all twenty-two bottles of Jacobs‘ (acclaimed) Remarcable Full Cover Foundation impressively shows the range of nuances between beige and ivory skin tones. But shockingly, the collection concludes with just three shades representing the(in actuality) multitude of different undertones found in the brown skin family. It’s not a secret that makeup brands from the drugstore to department store, minus a small percentage of distinguished labels, are still playing catch-up when it comes to appropriately addressing various skin tones in their makeup. Yet, possibly seeing shades such as these in a smaller setting like a photograph made the quieted negligence an even more hurtful reminder that makeup companies have often chosen to forgotten their customers of color (with brown skin). In the comments section, an argument arose about the large discrepancy of the many shades for White skin over Black skin. Some attempted to defend the pic in saying that the camera and the frosty bottle clashed, making some shades in the last row appear lighter than they are (see second photo above as an example). But even if that were to be true, there is bigger picture here that with or without flash, only three shades appear exceptionally brown to the naked eye. In 2015 going into 2016, why are we still searching for a true russet brown shade on the average makeup shelf? It’s been discussed before and change has happened for makeup companies to reflect the huge spectrum of skin tones out there. Brands like BECCA, Make Up Forever, Kat Von D and NARS have done a great job in offering an expansive line of face makep. And M.A.C., despite their ups and downs in customer service and attitude, have never failed their Black and brown consumers. (Many makeup wearers and artists refer to the M.A.C’s color code of NW and NC as the guide for correct color foundation estimation). Still, the effort for of color customers to see their skin tone in bottles is challenged when brands like Revlon, Maybelline, Tarte, and YSL claim to have brown hues under names like “Cocoa” and “Caramel” when in reality, the shades are either ashy or red as hell, or “Caramel” actually resembles “Tan Ivory.” Do makeup companies really have no idea what beautifully chocolatey skin looks like? Or an in-between brown, like Walnut? (And most Sephoras aren’t even carrying the full line of Too Faced’s Born This Way Foundation. Shades “Maple”, “Chestnut”, and “Mahogany” have to be bought online). Then there’s L’Oreal’s Infalliable Pro Matte Foundation’s. 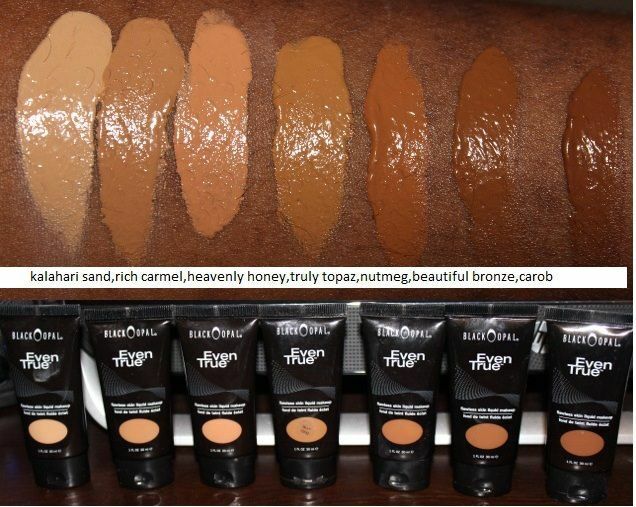 Yes, the coverage is great…but two shades for WOC as paler complexions get almost nine options? Not even the computer can tell Shell Beige and Natural Buff apart. It’s insulting. As a woman of color myself who loves makeup, I am annoyed and sometimes honestly hurt when I see one shade of brown. I often barely make the cut. I’m a pretty in-between medium brown, so I’ve been in limbo plenty of times over foundation shades from mainstream brands. Makeup brands also have a tendency to do a either a light brown and then just jump to an ebony, as Lancome did with their newest sponge-like product, the Miracle Cushion compact. And believe me you, seeing Lupita Nyong’o in the ads made me want to get one but I couldn’t find my hue. In order for companies to make profit and maintain a loyal fanbase, they do maintain notes on what type or group of customers purchase their products the most. For some makeup brands, like say FLOWER by Drew Barrymore, they literally just have one shade as the de-facto “brown” because research has shown that “most” Black girls aren’t checking for FLOWER Beauty. But does that still make it okay to have just one shade in hopes that the one Black or Indian girl that does want to wear FLOWER that LF14 will work for her? I luv Drew, but I can’t wear her face makeup. I bought the BB cream in the darkest shade, “BB4”, and it’s just a little too light for me. And brown foundations do sell! Do you know how many times I’ve seen the Bobbi Brown Stick Foundations in shades “Warm Walnut” to “Espresso”completely sold out in stores?! Gutierrez has yet to say or write anything in response to the concerns of his Marc Jacobs gift. Maybe, or I guess, he won’t be using the brown shades anytime soon and that in itself is another topic of discussion.